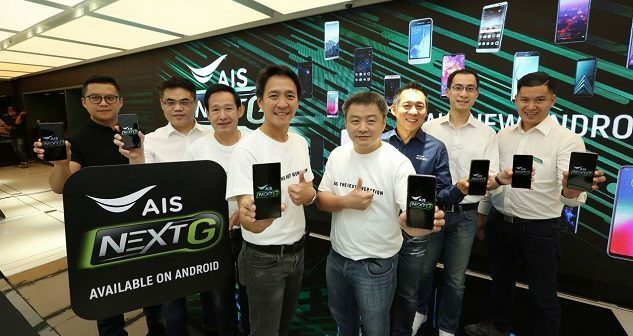 ADVANCED Info Services (AIS) yesterday opened up its AIS Next G service to run on all makes of Android smartphones after launching the service on some Samsung models in August last year. The company’s Next G app allows AIS’s 7.5 million Android smartphone users (running Android OS 7.0 or higher) to experience mobile Internet speeds twice that of the current rates. To use the service, users must download the Next G app. Their devices can then connect to an Internet service combination of AIS Super Wi-Fi and the 4G network. Currently, AIS has 100,000 access points on the AIS Super Wifi nationwide, with offering speeds up to 650 megabit per second (Mbps). Of the 15 million Android phones in use in Thailand, around 7.5 million units are owned by AIS customers. Pratthana Leelapanang, chief consumer business officer at AIS, said AIS had earlier offered the Next G service to users of some models of Samsung smartphones. Around 10,000 customers have used the service. The main benefit of this service to users is that the increased speed of Internet connection comes at the same price points, except for packages under Bt799 a month. The benefit to AIS is that it can offer the service to more users with the same bandwidth in the same area. “Customers who use the Bt799 package and up make up around 10 to 20 per cent of AIS’ postpaid users,” said Pratthana. The company also offers Bt89 for the AIS Next G service for one day with 8GB and Bt159 for seven days with 5GB. The trend is for more prepaid users to become postpaid users due to their increasing demand for data. AIS users have more demand in mobile data consumption, with 80 per cent growth year on year, the company said. In 2017, AIS users consumed 7.3 gigabytes per person per month, increasing from 3.8 gigabytes in 2016. In the first quarter of 2018, they consumed 8.4 GB per person per month. 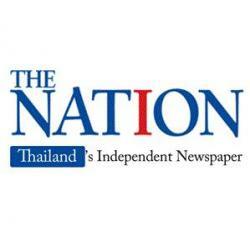 Thais spend an average of 4.8 hours a day on social media networks, a survey shows. AIS has average revenue per user of Bt600 for postpaid users and Bt200 for prepaid users. AIS is the first mobile operator in Southeast Asia, and the third in the world – after South Korea and Turkey – to launch the combination of cellular and Wi-Fi services for Internet connections.